The Maui Jim Maui Invitational is the premier early-season college basketball tournament held annually during Thanksgiving week. Each year, the Maui Jim Maui Invitational attracts the top programs, best-known coaches and most outstanding players to compete in an exciting atmosphere at the Lahaina Civic Center near the beautiful beaches of Maui. KemperLesnik owns, operates, promotes and markets the premier college basketball event each year. 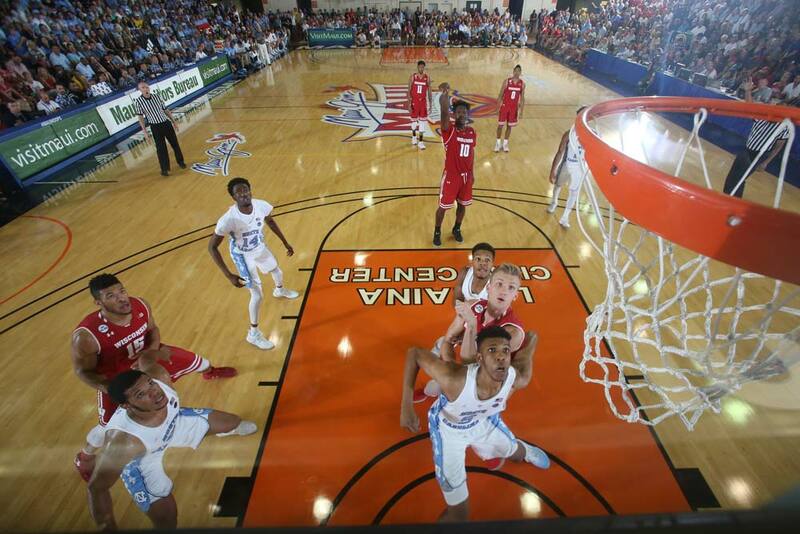 Although Maui Jim Maui Invitational is one of the longest running and respected pre-season college basketball tournaments, competition from new team showcases add mounting pressure on keeping the event on top for fans, teams and sponsors. Each year presents new opportunities to keep the tournament exciting, new and fresh. New online strategies and on-campus engagements create a year-round discussion for the Maui Jim Maui Invitational. The campaign has helped to keep the annual event top of mind during football and basketball season and has helped extend mainland opportunities for sponsors. Each year, the college basketball world waits in anticipation for the Maui Jim Maui Invitational. Bringing the best teams in the NCAA to an ESPN audience who revels in the coaches wearing aloha shirts and play that typically serves as a litmus test for the year’s NCAA championship run.